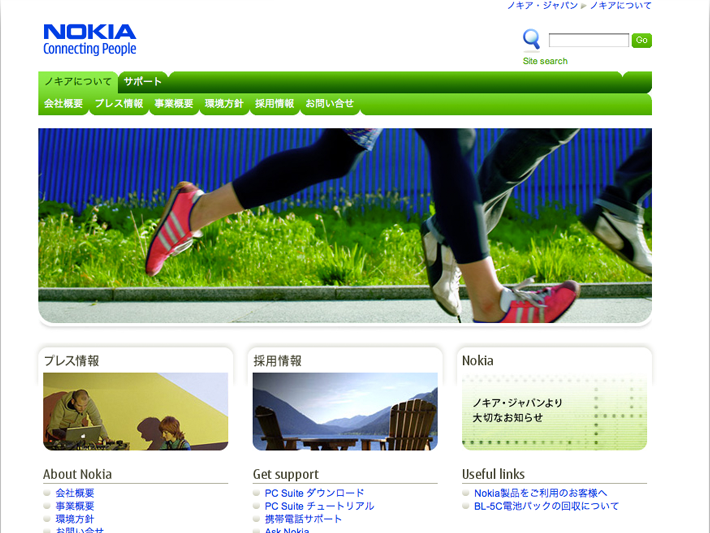 Nokia’s objectives were to engage and retain the youth market and thereby to make it the world’s most loved brand. 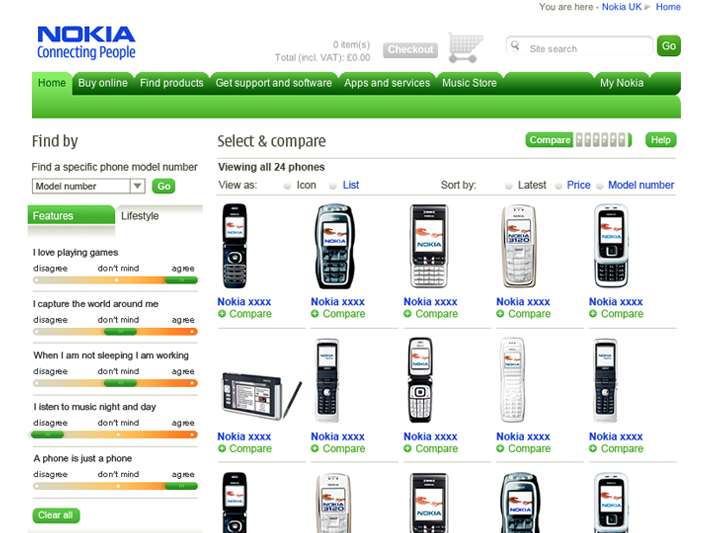 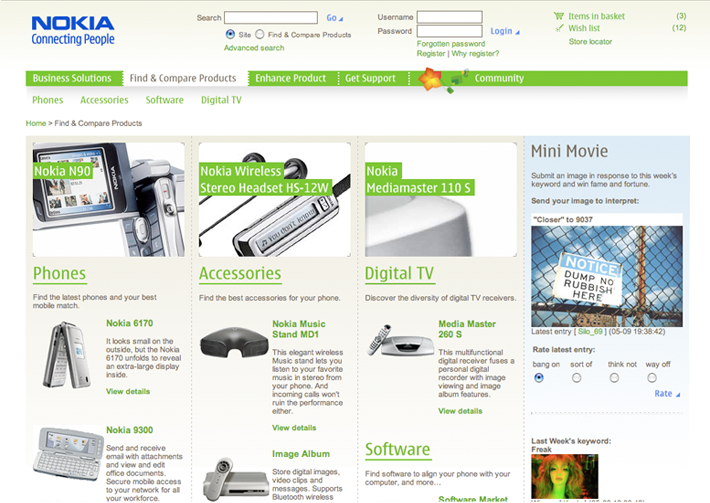 Between 2005-2006 we created a new online vision for navigating Nokia’s vast product catalogue. 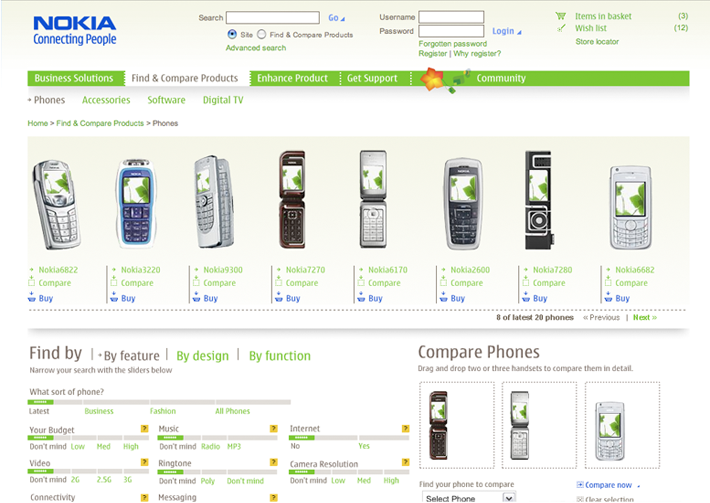 We integrated online story telling, created product comparison tools that enhanced the experience of finding the right phone, devised a mobile internet strategy and proposed many community integration tools. 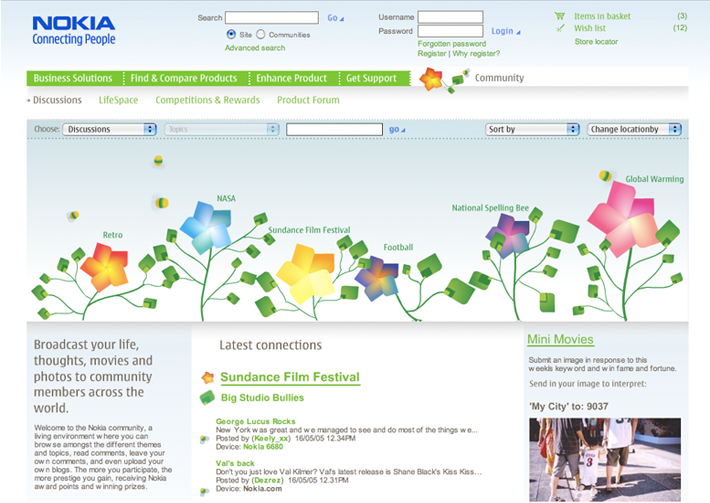 This was a full scale global web re-design project from end to end across 56 countries. 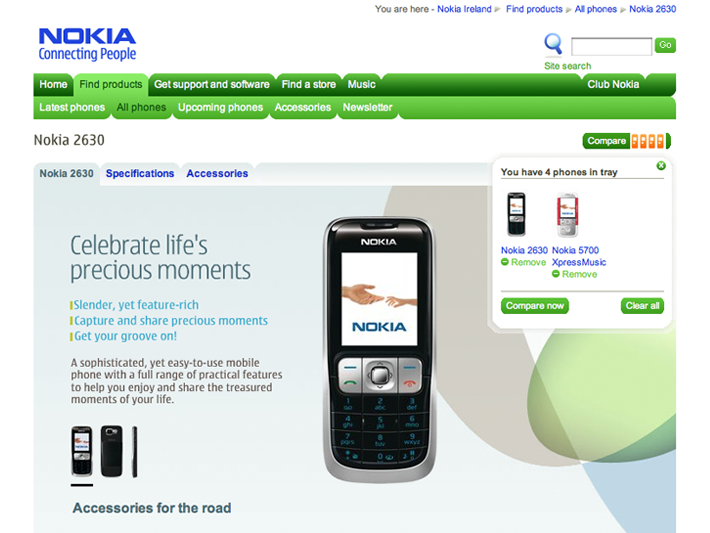 As a result of our work Nokia.com became one of the best corporate online presences in 2007 and remained there in 2008 (Financial Times). 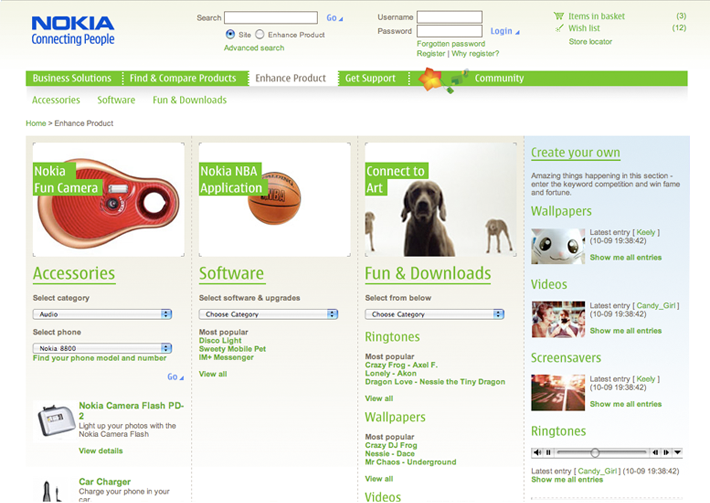 We also created a prototype that integrated a community platform within the product catalogue. 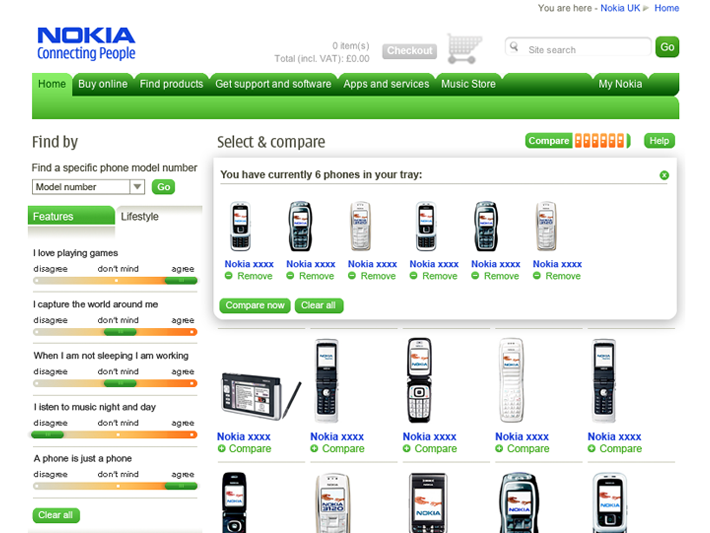 The phones were rated by what the users could do with them. 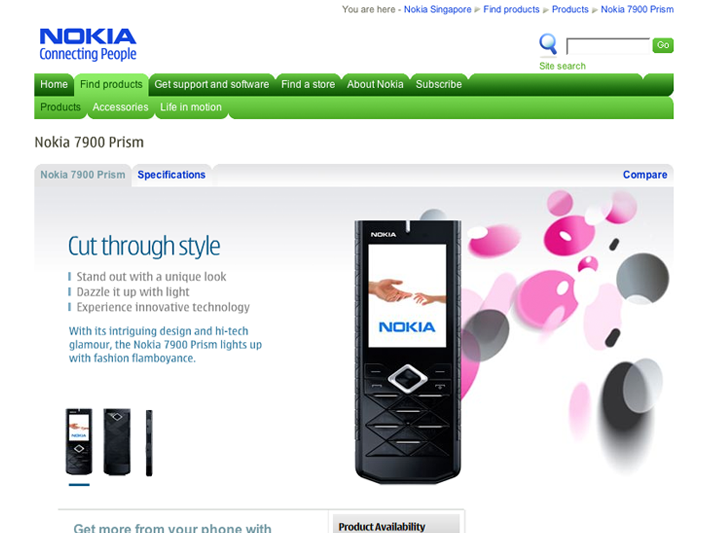 This scored very well in testing, but Nokia wasn’t ready to roll it out.